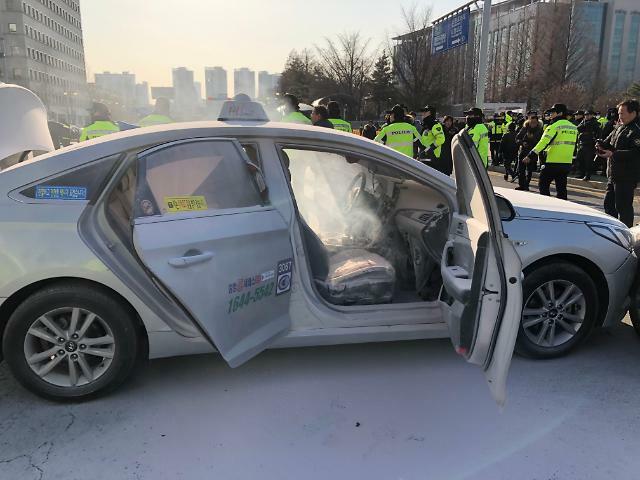 SEOUL -- A 57-year-old taxi driver immolated himself after dousing his body with inflammable liquid in his car near a parliamentary complex in an apparent protest at a smartphone app-based ride-hailing service launched by South Korea's web service giant Kakao. The man identified by his surname, Choi, who was a union member of a taxi company, was declared dead at a hospital. Police were on patrol but failed to stop the tragedy. Police said Choi had informed his colleague in advance about his self-immolation. 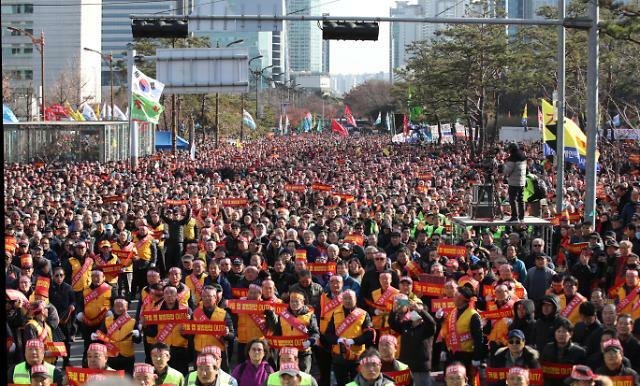 A taxi union member told Yonhap News that he had received a phone call from Choi that he would immolate himself, citing his objection to Kakao's carpool service. Kakao Mobility, the smart mobility wing of Kakao, started the beta test of its ride-hailing service, Kakao T Carpool, last week through a limited number of randomly selected carpool crews. The service would be officially launched on December 17. 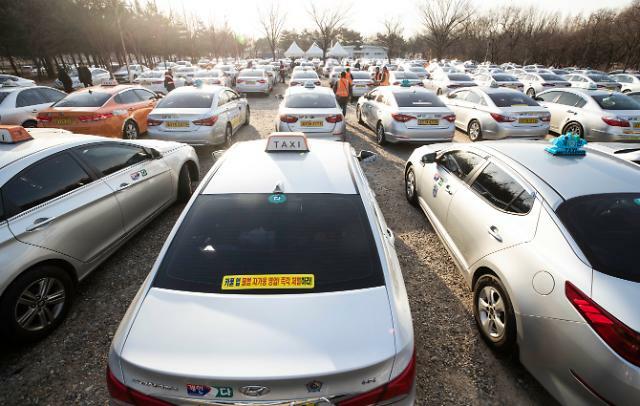 Taxi drivers have demonstrated, insisting Kakao T Carpool would fan an illegally paid service by passenger cars. In an October survey conducted by Seoul-based pollster Realmeter, 56 percent said Kakao T Carpool would promote the benefits of citizens while 28.7 percent opposed it.